We wish to congratulate Alan Rosling, co-founder of Kiran Energy – one of India’s leading solar power companies, who was named on the Queen’s birthday honours list 2014 as Commander of the Most Excellent Order of the British Empire (CBE). Click here to see the full list of recipients of Diplomatic Service and overseas honours. Looking for speaker ideas for your conference in India, or on India’s challenges and opportunities? We can recommend some fantastic business leaders, international journalists currently based in Delhi and Mumbai, Indian journalists, editors and broadcasters, senior politicians, diplomats and civil servants. 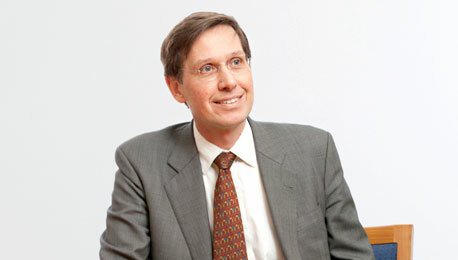 SPOTLIGHT: Alan Rosling OBE served as Tata’s Head of Globalisation (2005 – 2009), a main board position, Prior to that Alan chaired Jardine Matheson’s Indian business, and worked as head of global strategy for United Distillers, and in Prime Minister John Major’s Downing Street Policy Unit. Alan has been living and working in India for 30 years, and chairs Kiran Energy, India’s leading solar power generator which he co-founded in 2010. He has an unrivalled understanding of India’s macro outlook, public policy dynamics, market entry issues and a number of strategic sectors including renewable energy. He is also an experienced conference moderator and panel chair. Please contact Chartwell partners via our London office (Huw Diprose, Head of Research at huwd@chartwellpartners.co.uk) or our office in Mumbai (Roger Pereira, Partner, rogerp@chartwellpartners.co.uk) for more India speaker ideas. On Monday night we co-hosted another thought-provoking discussion at Asia House, focusing on the two big economic beasts of the region, China and India. There was a great turn-out for the discussion between Alan Rosling, former executive director of Tata Sons Ltd and George Magnus, senior economics advisor to UBS, moderated by the Sunday Times’ David Smith. China is often seen as the ‘one to watch’ to become the major super-power on the global stage but, as George Magnus pointed out, it is very difficult to predict what will happen in a country with such a dramatically ageing population. While it took the West 100 years to double its proportion of over-60s from 7% to 15%, China has reached that level in 20 years, and with a significantly lower average wage. This makes it difficult to draw parallels and anticipate what happens next. This was only one of the topics raised in the fascinating discussion that covered everything from corruption to co-operation between the two states and the big question – which would be the more successful in the long term. On this, the mood in the room was that India would overtake China.